Your wedding look is very important for you. But don’t worry, your concern is completely normal – you don’t get married every day, so you want to be absolutely radiant on your Big Day. Even more, you want to be in perfect balance with everything surrounding you – and the season outside is definitely one element to consider. What if you want a fall wedding? How can you incorporate fall elements in your bridal look? We have some tips for you – so read on and find out more. · Choose a beautiful wedding dress suitable for fall. It could be a long-sleeved wedding dress, for example (they are extremely trendy right now!). Or it could be a wedding dress and a cape. There are so many gorgeous options for fall brides that it’s literally impossible not to find something that suits you and your personal style! · Incorporate fall colors. Purple, yellow, red, orange, browns – these are some of the most widespread fall colors. While you might not want to wear a burgundy wedding dress (but you totally can if that’s what you want), you might want to incorporate such colors in your accessories. For example, you could wear a pair of shoes with painted leaves, or a bridal pouch based on typical fall motifs. These are sweet, simple, and playful ways to bring a touch of the season into your wedding look. · Include fall foliage. 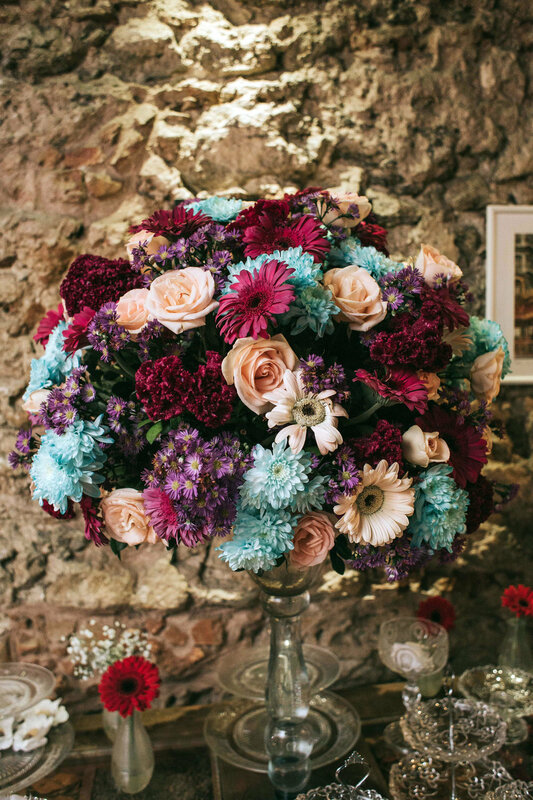 For instance, you could create a fall bridal bouquet based on moody colors (purple, dark burgundy, and so on). Or how about a stunning bridal flower crown based on red and green foliage? That’s not just unique: it screams fall from miles away! The same could be done with a bridal bouquet based on greenery too: just a few pieces of red foliage can be a total game changer! · Consider the dress’ details. Embroidery and lace that incorporate leaves are quite common – so why not search for a dress that subtly incorporates your favorite season? This is a really beautiful, timeless, and elegant way to welcome fall into your wedding look. Did you find the perfect wedding dress, or are you still looking? If it’s the latter, be sure to come and check out Savvi NC. We guarantee you will absolutely love the wide array of stunning wedding gowns in our bridal boutique!